Is augmented reality (AR) more than a fad? Based on its adoption in both our social and working lives, the answer seems to be a resounding yes. Augmented reality allows users to interact with virtual content through the use of a device, such as a tablet or smart glasses, and applications that use the product cloud to enhance what a person sees by generating a digital overlay of the object. Augmented reality is everywhere. For personal use, people want AR for anything from playing computer games to visualizing 3D versions of furniture. AR can also be used in areas like sports broadcasting to provide the digital overlay with swimmers’ lane numbers you see when watching a competition on television or the yellow 1st down line to which American football fans are accustomed to viewing. Augmented reality also has a plethora of practical applications. Emergency first responders have found that AR mapping tools provide critical knowledge that allows responders to navigate an unknown location and supplies important information like owners’ names and addresses that can be overlaid on maps so responders have easily accessible, relevant data. It is also playing a role in the healthcare field for uses such as allowing doctors to deliver medical care remotely and improving surgeon training. Augmented reality can impact electrical distribution, too. The industry can benefit in areas ranging from designing, maintaining and installing medium-voltage switchgear to overhead design analysis. These are some of the valuable benefits that are commonly found in augmented reality applications. Safety: The technology can provide easy-to-follow, visual, step-by-step operating procedures and key messages, which reduce human error. It also helps operators select the appropriate equipment for performing specific tasks. In addition, it improves safety for operators. For example, AR can supply operators with information about the location of existing utilities lines and buried utilities and this can be superimposed on workers’ devices to give visual information about their location. Training and maintenance: Workers can learn how to perform new tasks and maintain products using the technology’s visual instructions. Modeling and configuration: Equipment can be quickly and easily visualized, designed, and modified. HD 3D allows each part to be seen in detail. Documentation: It provides a new format for gathering information that can further enhances users’ knowledge when combined with traditional methods. Cost-effective and efficient: AR technology can cut costs by boosting operator efficiency because it simplifies tasks by supplying the relevant resources and data for workers, increases machine efficiency, reduces waste caused by redesigns, lowers operational overhead, and accurately estimates the budget thanks to AR modeling. Augmented reality technology is expanding across industries and the growth shows no sign of stopping. Forward-thinking utilities should take advantage of this new technology, which has the opportunity to provide previously unheard-of features. 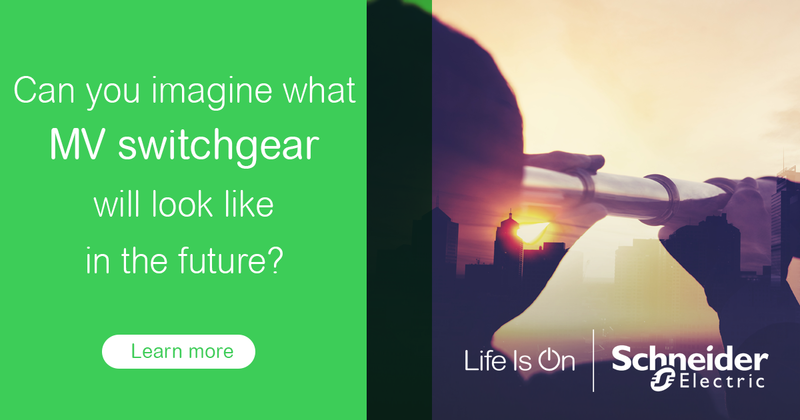 To learn about other MV switchgear technologies that will popular in the future, download our free white paper. Great article, and useful info. Augmented Reality in the Chemical Industry How Machine Builders Apply Augmented Reality to Solve End User Business Problems Driving the Digital Transformation with Augmented Reality Augmented Reality: How Quickly can it Transition from Shiny New Innovation to Standard Industry Infrastructure?